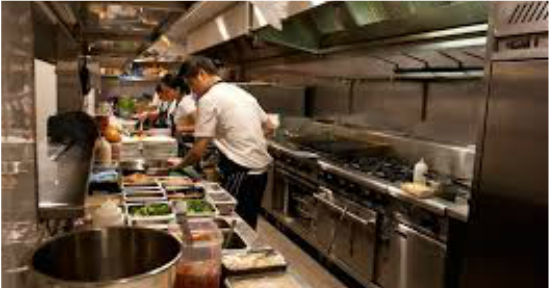 Perth Property Improver is a dedicated business, experts in the maintenance of Commercial Kitchens for restaurants, hotels and food outlets. We understand the needs of the food industry and we excel in assisting food outlets obtain or successfully continue meeting ‘food safe’ & ‘food safe plus’ accreditation. We can ensure that your business adheres to the ‘Australian & New Zealand food standards code’ and help you prepare for local council EHO’s inspections. With 20 years of experience in commercial kitchens, we are able to assist & advise on cost effective long term strategies to manage the maintenance aspect your commercial kitchen. We can meet all your commercial kitchen needs and requirements with our highly experienced team of plumbers, tilers, fitters, sheet metal workers, electricians & glaziers. We understand that the maintenance of commercial kitchens often needs flexibility to fit in with your trading hours, so our project team members are available to work 24 hours a day whether you need night shifts, weekends or public holidays to accommodate your work schedule & hours of operation. If you need your commercial kitchen renovated, or there are a few aspects which need upgrading or replacing, call James from Perth Property Improver on 0417 960 652 to discuss your needs and get a quote. Gutter replacement & leak troubleshooting.